This page shows and provides access to detail regarding the highest cycling climbs in the Switzerland. 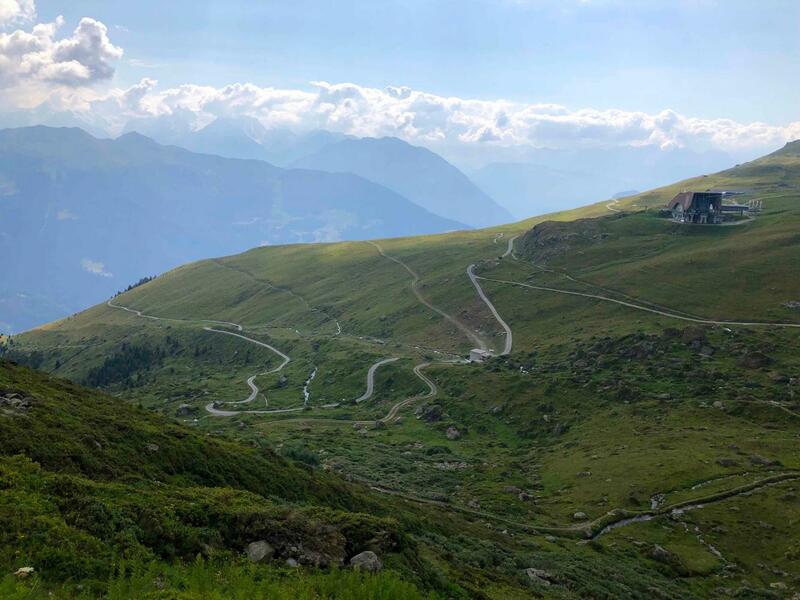 Switzerland's 10 Highest Climbs by Bike are featured on this page. Scroll down to access the Top 10 Highest Suisse Bike Climbs "Table.". These bicycling climbs can be viewed on their individual PJAMM ClImb Pages by clicking on the links to those pages from the map, chart or photo of the climb. The 10 highest cycling climbs in Switzerland are, in order of finish altitude, 1. Col des Gentianes, 2. Passo Stelvio via Umbrail, 3. Umbrail Pass, 4. Breithorn, 5. Albulapass (Tiefencastel), 6. Furkapass - Gletsch, 7. Nufenen Pass, 8. Furkapass - Realp, 9. Marjalensee, and 10. Col du Grand St. Bernard.